London is one of the most popular cities in the world for tourists because it has so much to see. It’s not surprising that the city also offers a plethora of places to stay. Choosing a place to stay in London can be challenging. It’s hard to find a suitable hotel in a convenient location that doesn’t cost an arm and a leg. 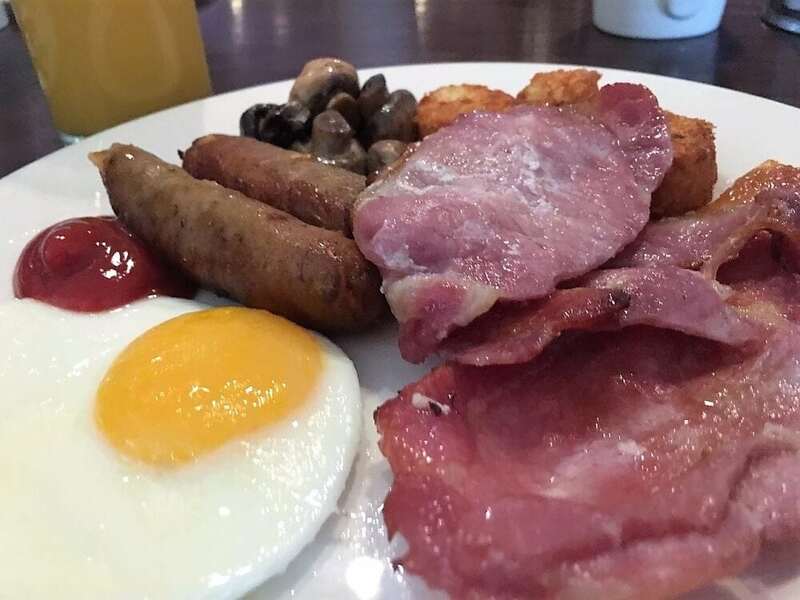 I have a suggestion – consider the Tower Hotel near the Tower of London. From the outside, it might not look like anything special, but it has a lot to offer as an accommodation. Keep reading for my detailed review of the London Guoman Tower Hotel and you will understand why. The Guoman Tower Hotel is a four-star hotel located between the Thames and St. Katherine’s Dock in East London. The hotel opened in 1973 and has 801 guest rooms. It also has 19 meeting rooms with a capacity of up to 600 people. The building has been called one of the ugliest in London, but don’t let that worry you, it’s the inside that counts. 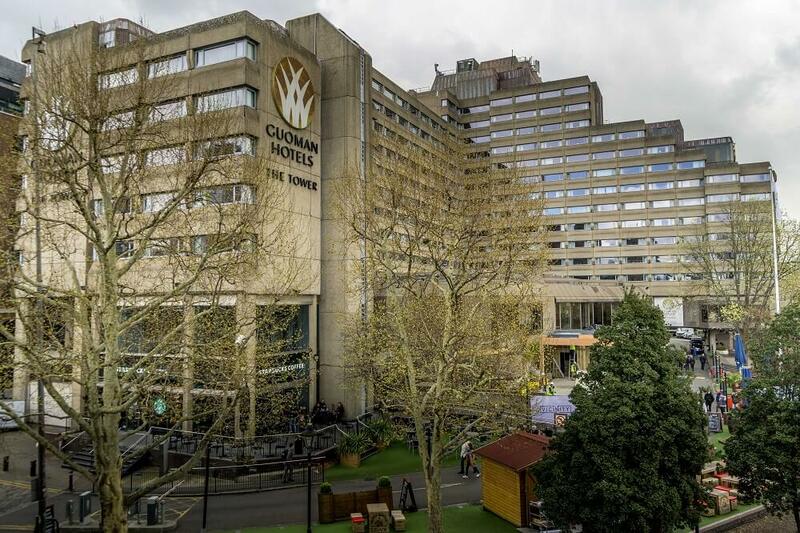 The Tower Hotel is part of the Guoman Hotel collection. Their other properties include The Grosvenor Hotel, The Cumberland, and The Royal Horseguards Hotel. All are four or five-star hotels in London. Guoman is owned by GLH, Great London Hospitality. The hotel has also been captured in two films – the 1975 John Wayne film, Brannigan, and the 1986 film, Biggles. We were pleased with our room at the Tower Hotel. It was a nice size for London hotels. The bed was comfortable and huge! It was a true king-sized bed, not two twin beds pushed together. When we arrived, there was a personalized card and some rich chocolates on the bed. My husband requested extra pillows in advance and they were also in the room when we arrived. Our bed was so comfortable! It’s always nice when someone gives you chocolates! The desk was pleasant to work on, I had enough space for my computer and other papers. The hotel has free wifi throughout. In front of the desk was a large mirror perfect for putting on makeup. At one end of the desk, there was a luggage rack and the other end had a reasonably-sized flatscreen television. The bathroom was compact and clean. It had bathtub/shower with decent water pressure with a normal shower curtain. Not one of those halfway glass doors that are prevalent in Europe. The toiletries were hotel-branded and nice quality. The counter space around the sink was sufficient for makeup, shaving, etc. There was no hairdryer in the room, but they will provide one upon request. In our room, the tea and coffee was hidden inside a drawer in the desk. At first, I thought it was weird that there was nothing on top of the desk, but then I saw the label on the drawer. That way it didn’t take up any workspace on the desk. The closet had reasonable space to hang any clothes and also a safe for valuables. It also had an iron and ironing board. The view stole the show though. We opened our curtains and had an amazing view of the Tower Bridge. It’s definitely my favorite bridge in London, it is iconic and unique. Note: Tower Bridge is not the same as London Bridge. Rooms on the other side of the hotel look out onto St. Katherine’s Dock. Another perspective of our huge window with a view of Tower Bridge. The Tower Hotel offers several different room types. The most affordable option is the Standard Double Sleeper Room which they describe as cozy. The next offering up is their Standard Room. 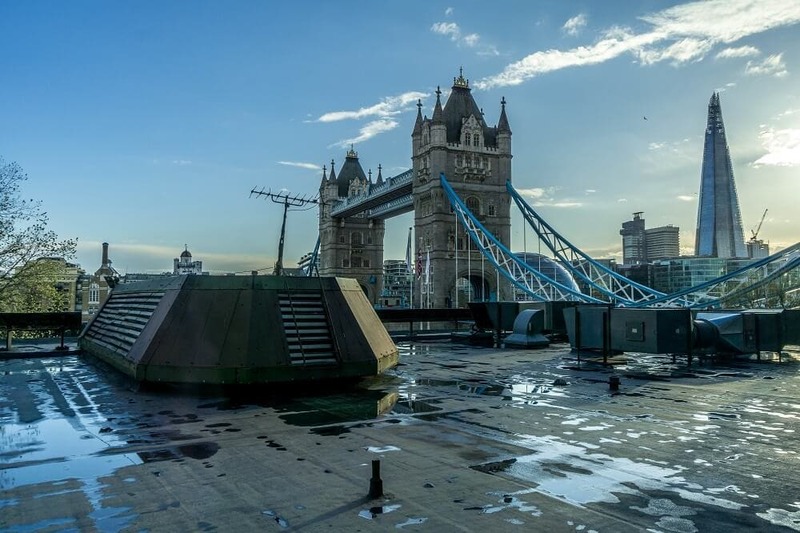 For a little more, you can confirm one of the rooms with the Tower Bridge view. 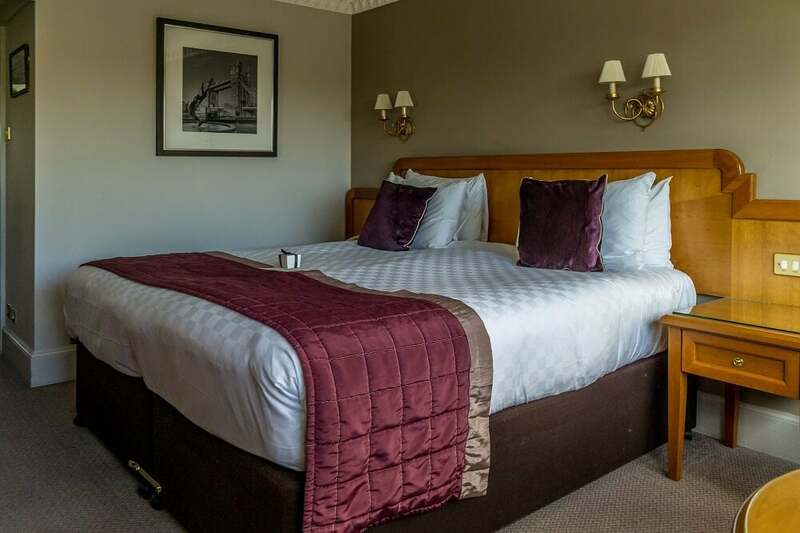 They also offer fully accessible double rooms. For those traveling with kids, they do offer a family room that has a sofa bed. Their executive rooms are more spacious and include access to the exclusive Club Lounge. They also offer suites that include a kitchen, living room, Nespresso coffee machine, and access to the lounge. 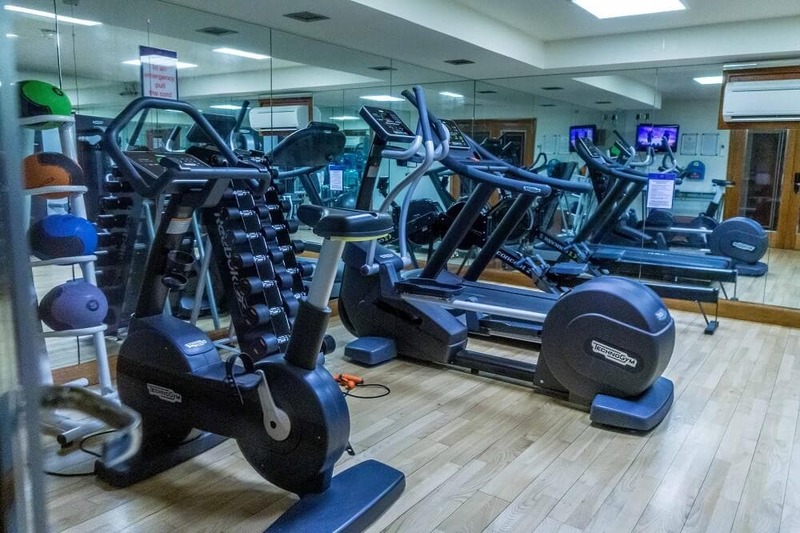 On the 11th floor, there is a small gym that is open 24 hours a day. It can be accessed with a room key. The gym had both cardio and weight equipment, but it’s not comprehensive. 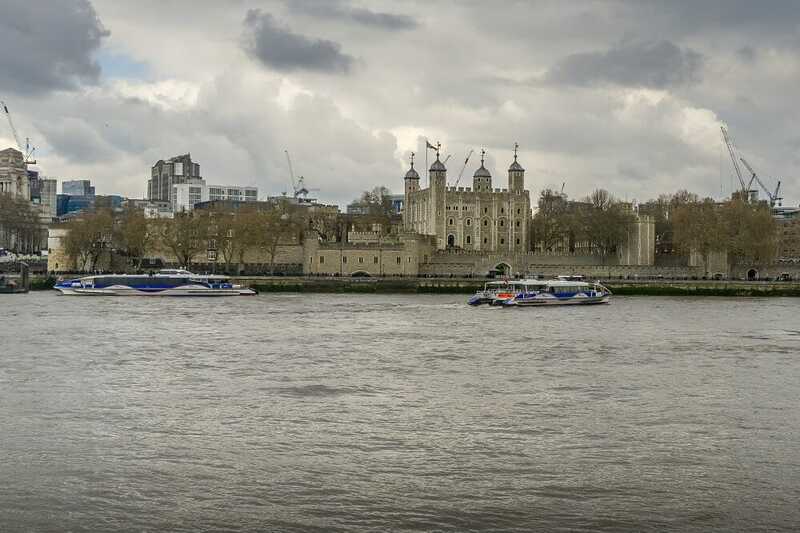 Runners and walkers will love exercising on the path outside the hotel along the Thames. The path is smooth and you have an unobstructed view of some of London’s most iconic landmarks. The gym at the Tower Hotel is small but it has all the basics. The Tower Hotel has a restaurant and bar. Some room rates include breakfast which is served buffet-style. The Gallery Restaurant looks out over St. Katherine’s Dock and also serves afternoon tea. The Xi Bar has happy hour from 5 pm – 7 pm daily and an impressive view over the Tower Bridge. When the weather is nice, there is also an outdoor bar and seating area along the Thames. For those that want to stay in their room, the hotel does offer room service. They guarantee that it will be delivered in 45 minutes or it’s free. The staff at the hotel were attentive. I noticed that each time I returned to the hotel, they would push the elevator button for me. The concierge was friendly and held our bags after we checked out. Location is an important factor in selecting a hotel. It’s usually best to stay as central as possible, but you need to find the balance between price and distance. The Tower Hotel is located in St. Katherine’s Docks in East London. I love this area! It’s basically next door to the Tower of London and Tower Bridge. Some of my other favorite attractions in London like the Tate Modern and Borough Market are a short walk away. There is a free Shoreditch street art tour that starts at Tower Hill. There are also several restaurants close by (my favorite is Bravas Tapas) or you can walk to the countless restaurants in Shoreditch. The only negative about the location is that it’s an eight-minute walk (which isn’t that bad) to the closest tube station which is Tower Hill. The good news is it is a scenic walk to/from the station with fabulous views of the Tower of London. The Tower of London is basically next door to the Tower Hotel. 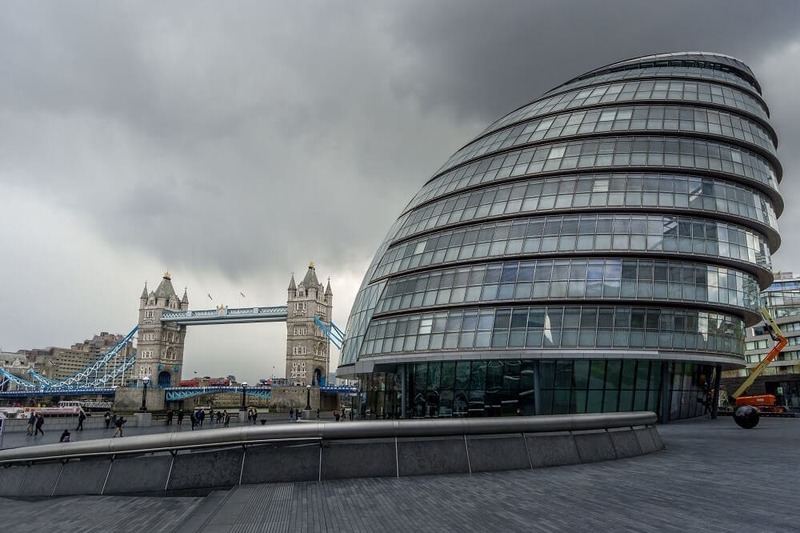 Across the Tower Bridge is the City Hall. We enjoyed our short stay at the Tower Hotel in London. The hotel had everything we were looking for (comfortable bed, clean room/bathroom, dining options, and convenient location) plus one of the best views from any hotel room I have ever stayed in. You can read more reviews on Tripadvisor here. If you are planning a trip to London, consider staying at the Tower Hotel. Let me know if you have any other questions about the hotel or the area in the comments. 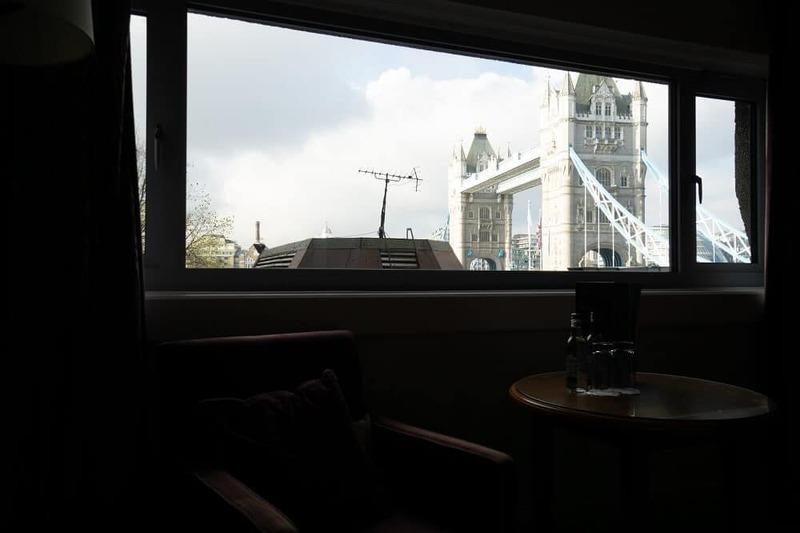 Rates are higher for rooms with a view of Tower Bridge. Depending on availability (and luck), they may be able to offer an upgrade from a standard room if you ask nicely. 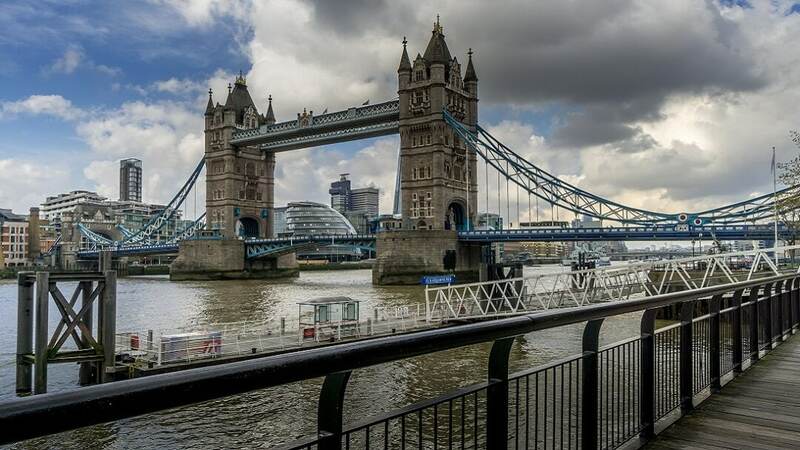 Go for a run or walk along the Thames Path, combine a little sightseeing with some exercise. NextIs the Dollar Flight Club Worth it? The room looks nice and what a perfect location!!! Elizabeth – Yes, we enjoyed our stay and I definitely recommend the hotel when you visit London. Such a great location and the room is a nice size for London indeed!!! Nothing can beat a huge and comfortable bed! Thanks for sharing, saved for my future trips to London! Anna – Yes! Definitely let me know next time you are in London, would love to meet in person. Candy – Yes! Have a great time in London. Wow wow wow! That hotel is SO close to the London Tower Bridge! I can’t believe that’s the view from your room! Amazing. Sarah – Yes, that is pretty much what I said when I saw the view. I could have stared at it all day! I found it SO difficult to choose and find a hotel in London, there are so many options and the city is so vast! This hotel really seems to have it all. The staff seem thoughtful and everything from the food served to the comfort of the rooms seems to be on point. Usually, you have to settle for one remotely strong point while the others lack…not in this case! Great post. Stephanie – I agree its hard to find a good hotel in London, especially one that is reasonably priced. I hope you get the chance to visit the Tower Hotel. Olivia – Yes, don’t let the outside fool you, we enjoyed the Tower Hotel. The room looks so cosy and you’re right the bed does look very comfortable. It’s a great location too, would definitely consider staying here when I’m in London next. Aimee – Yes, we enjoyed the Tower Hotel. It’s ideally located and reasonably priced. What a beautiful hotel, I really like the design of the room. It seems quite spacious! The view of the Tower Bridge has to be the best part though, so nice! Lyne – Thank you! I loved the view too. 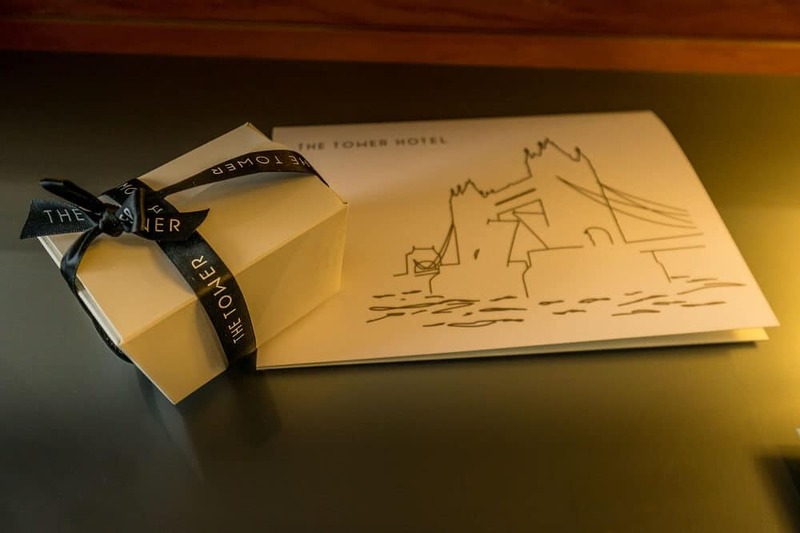 What a wonderful, detailed post about the Tower Hotel! That area sounds wonderful to stay in, and the view towards the bridge is perfect! I’ve never stayed in London itself (stayed with family outside the city), but will absolutely check this out when we go back again! Meredith – Thank you! I hope you get the chance to stay at the hotel, we had a great experience. Lol this is a hotel I know very well, I used to work right there in the docks! You’re right about the fantastic view, it’s in a top part of the city. Your breakfast looked super tasty too, that’s always a plus. Lisa – That is funny. It’s such a great area. They’re definitely right by saying that the outside of the Guoman Tower Hotel is not pretty, ha! I think what’s great about this hotel though is the view. It’s so close to the bridge. I would definitely sneak up to the roof at night to see how the city sparkles. As you said, the inside is what counts and the Guoman Tower Hotel does not disappoint. Martha – Haha, yes I should have tried to sneak up there! Ha, I’d be surprised if that *wasn’t* one of the ugliest buildings in London! But you definitely can’t complain about that location and 24-hour gym. Dylan – Yes, not sure what they were thinking when they designed the building, but it is a great hotel. The area is amazing too.